Here’s a little background information – It’s 12/27/18 and there’s still just over 400 IRS forms, schedules, worksheets, publications, instructions, and revenue rulings expected but not released. 2018 has had three government shutdowns and are warning that tax season will get off to a late start – efile is expected to be allowed around 01.27 (how are 400+ documents to be released by 01.27 with a federal government shutdown currently in session?). The 2017 Tax Cuts and Jobs Act – the most significant change in the tax code since 1986 was signed on 12.23.17 but is not fully translated by the IRS. The last part of that bill implemented for the 2017 tax return was 03.23.18. 03.23.18 plus one week for IRS to update e-file programs as well as software providers and tax professionals. This makes the tax season about 15 days long. 2018 tax return season will be on a super tight deadline. 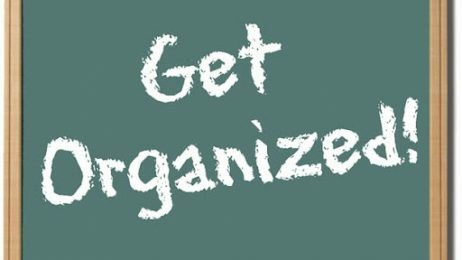 What can you do to help – get organized! Expanding file folders are amazing! Amazon Basics – Expanding File Letter Size! Share the organizational skill with others – 10 pack expanding file folders for under $11! File folders work great too. February 15, 2019 – if you are missing documents by this date, call the providers and ask for status. March 25, 2019 – this is the last date tax information can be provided to our office to guarantee the federal return is filed on time. 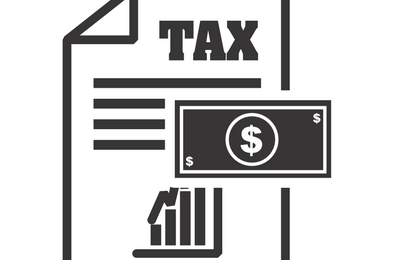 April 30, 2019 – due date of the Iowa individual income tax return. What to do if you get an IRS notice in the mail! Visiting your mailbox can be fun and exciting – birthday cards, pictures of grandchildren, refund checks, and good coupons. However, receiving a notice in the mail from the IRS or Iowa Department of Revenue tends to cause immediate stress and sleepless nights. 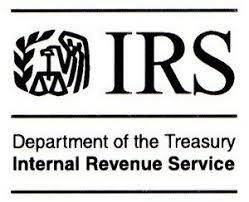 The following is a general list of steps to take when you receive an IRS or IDOR notice. Do not ignore the notice. The longer you wait to respond, the more difficult it is to solve the problem. Determine who sent the notice; IRS or a state taxing authority. Determine if the notice is authentic (not a scam). Read the notice and determine why the IRS/State sent the notice. Determine what tax year the notice is for. Review copy of your tax return for the applicable year and compare it to the IRS/State notice. Do not automatically send any requested payment to the IRS/State without fully understanding the notice. In some cases, the IRS/State notices are not correct. Additionally, do not send the requested payment until you determine if the amount you owe can be reduced. If you are unable to determine what the issue is call the accountant who prepared the tax return, if applicable. If the notice is correct and you are unable to pay the requested amount determine if other payment methods are available. If you need assistance in any of these steps, BMP-CPA is here to help! A use tax is assessed for the use, storage, or consumption of something in a state, regardless where the purchase was made. If a computer is bought while visiting a state that doesn’t charge sales tax, the buyer may still need to pay a use tax when returning home. Iowa has use-tax exemptions for prescription drugs and medical devices, including catheter trays, oxygen equipment, when they’re sold to the user (rather than a business). Pity the poor candy-store owner. In Illinois, Twix bars aren’t taxed because they are made with flour, so they don’t meet the state’s definition of candy. Other Mars candy bars such as Snickers, though, are taxed, because they contain no flour. Similar laws are on the books in Washington, Colorado, and Connecticut. Those trying to stay warm during the Minnesota winter should think twice before buying a fur coat. Real fur is subject to sales tax — 6.875 percent statewide plus local taxes. The tax applies to fur coats bought online, as well. Fake fur, however, isn’t taxed. Are Go Fund Me contributions deductable? When my clients and I are going over their qualified charitable contributions, they often tell me they’ve made many contributions via “Go Fund Me”. 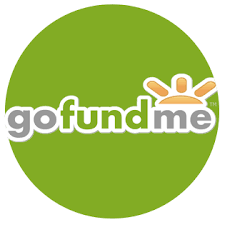 GoFundMe is a website that allows people to list a ‘needed’ cause and request contributions from others throughout the world. Common requests include illness and accident victims, but also other ‘needs.’ In addition to the 5% that GoFundMe deducts from each transaction, WePay collects 2.9% and $.30 from each GoFundMe transaction. Donations to these funds are NOT deductible unless they are made to a qualified charitable organization. The IRS sets this list and it’s available for the public eye. If the recipient of the funds receives more than $20,000 they will receive a 1099-K from the site. That amount is reported on Line 21 of the federal 1040 form then deducted the same amount as non-taxable gifts received and attach an explanation that it was personal gifts from individuals funded through the GoFundMe website. Top Three Questions I Get Asked from CPA Clients…and the answers!!! Question #1 – Why should I share my bank account information with the government to get direct deposit? 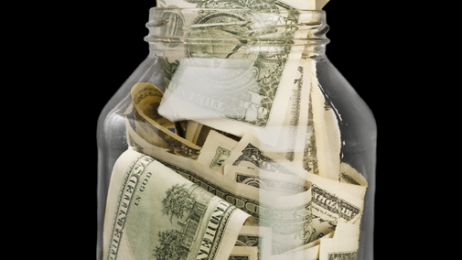 It’s faster – 9 out of 10 refunds issued by direct deposit are issued in drastically under 21 days. Paper check is issued within 30 days. It’s as safe as it can be – This same direct deposit system is used to deposit nearly 98% of all social security and veterans affairs benefits into millions of accounts. It saves you money – It costs the nation’s taxpayers more than $1 for every paper refund check issued, but only a dime for each direct deposit made. Direct deposit reduces the possibility that your check could be lost or stolen or returned to the IRS as undeliverable. Question #2 – What’s the best way to save tax dollars? Maximize your 401k or employer contribution retirement plan equivalent. 401k/403b/457 contribution limit is $18,500 in 2018. If you are age 50 or over, the 2018 catch-up contribution limit is $6,000 Employer match or profit sharing contributions aren’t included in these limits. 401k and 403b share the same limit. Question #3 – Mileage is so difficult to track, I just don’t do it. How much am I really giving to the government by not tracking miles? Best Method to track it –MileIQ app. https://www.mileiq.com/ Try it and get 20% off »use discount code: BPET842A when they buy an unlimited plan. Free tax consult valued at $270 to new clients! Message me to schedule! Minimize fraud opportunities on your social security number (SSN). 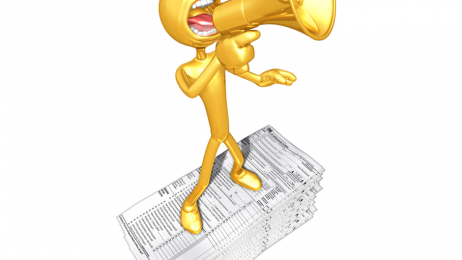 Once the tax return is filed and accepted, the SSN cannot be used again! Refunds are processed in the order that tax returns are received. There are a few exceptions to this, but in general, the earlier you file, the faster you will get your return. Our schedules at BMP-CPA fill quickly once people start getting their W2s and other forms in the mail. Just like the government, the earlier you schedule your appointment and give us the information for your tax return, the earlier we will have it ready. If you wait until late March to schedule your appointment, we’ll be scheduling 3-4 weeks out, and we will probably have to file an extension for you. Counting on refunds for property tax payments in March can only be accomplished when returns are filed and processed early. If you owe on the tax returnn, the earlier you file the longer, you have to come up with the amount owed! At BMP-CPA, our advice to you is file early, pay in full on time! If you are new to BMP-CPA, and you’d like to request a free tax consultation appointment, click here. 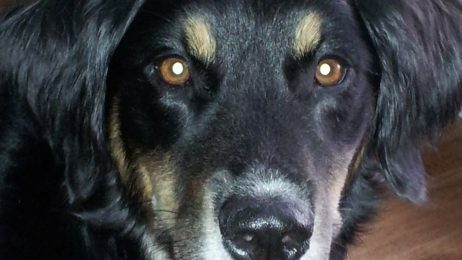 I am a dog lover, and each day I’m amazed at the things I learn from my dog. Here are 5 of those things, that make me a better CPA! Patience. 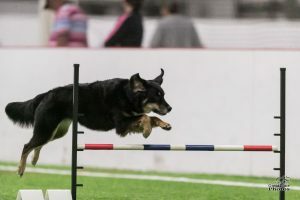 Dog training is training the dog to accept trial and error by its human I am patient with my clients because trial and error equals better understanding of our working relationship. Listening Gets To a Solution Quicker. Madi has a different bark for her priority of attention. It took me a lot of listening time to learn her “language”. Every client has a different ‘money’ language. I take time to listen and that helps me provide more effective money solutions quickly. Planning = Simplicity. I’ve been working Madi in the competitive dog sport of agility since 2014. If I don’t tell her what obstacle is next well in advance, she’ll take the wrong course. My clients need ‘cues’ prior to decision making to avoid the wrong course as well. I have learned from Madi to make my communications accurate, planned, and delivered in a language that my client can understand! Genuine Concern Builds Trust. Listening, understand, asking questions, and encouraging dialog all lead to caring with “skin in the game”. I’ve learned from Madi to build the same kind of trust that Madi and I have for each other, with each one of my clients. Trust = Success. Madi has a wall of 1st place blue ribbons from dog shows, because we trust each other. My clients have budget documentation, income tax documentation, and a good understanding of their financial situation (personal or with their business) because we build a trusting (and thus successful) relationship. Enjoy What You Do. Toys, bones, squeaky toys, balls. We have every dog toy under the sun. However Madi loves ball time the best. Cold, wet, rain, ice, weather doesn’t matter because she loves ball time. She has an intense passion for playing ball. I work with hard working, success driven, forward thinking individuals and business owners because I truly enjoy it. I have a passion for helping people become successful money managers and business owners. Sticking with what I love and being passionate about making a difference to my clients has led to 8 years of working with great people, and the opportunity to develop both business relationships and friendships that keep a smile on my face. If you’d like to chat with me about the opportunity to work with me in the future, I am offering a free tax consultation to new clients if you reach out to me this month. If you’re interested, you can contact me me here. Just ask for a new client tax consultation. This opportunity won’t be available in a couple of months, as it’s tax season – and once my schedule is full, I won’t be able to take more clients. 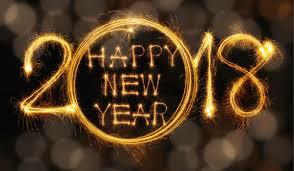 5 New Year’s Resolutions that your Accountants at BMP-CPA recommend for you! Know your credit score. Often times fraud on your identity can be found by simply checking your credit score. Know Your Tax Return. Work with Brooke at BMP-CPA to understand where your money is going so you can control who’s hands your dollars sit in. It’s much better for you to have your money accessible for budgeting and growing your emergency fund, than to get a large refund year after year. Schedule your vacation time. Self care is important. Take your vacation time to give your body a break. You can travel, or stay at home for a stay-cation. Tell your friends and family you love them. There’s know guarantee of tomorrow. What has made McDonald’s such a huge success – system wide sales of about $95.7 BILLION, 37,200 store, $2.6 million per store, on average $7000 per day? Is it a McDouble? Or is it the convenience of a McDouble? You don’t have to plan the menu, spend 20 minutes wondering the aisles of the grocery store, fighting people in parking lots, sweating over a hot stove, arranging people around a table, or spend time doing dishes. 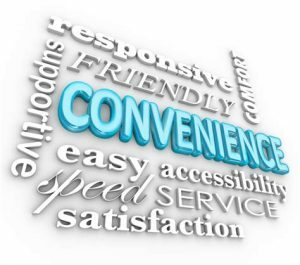 Client portals do the same thing – A client portal is an electronic gateway to a collection of digital files, services, and information, accessible over the Internet through a web browser. You can access it anytime that best fits your schedule – no need to plan. No need to spend time cussing traffic to get to a tax appointment on time. No need to sweat over money. No need to rearrange schedules to make sure kids are taken care of. 5. 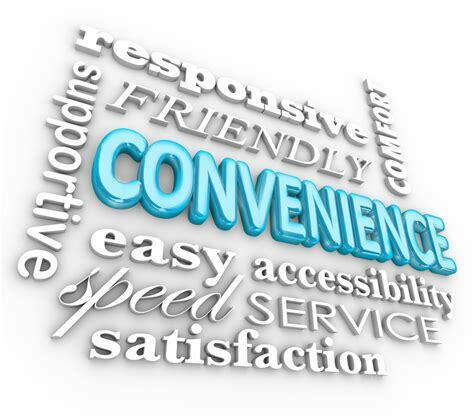 Send an email to Julia@bmp-cpa.com when you are done uploading all your documents. 6. We’ll follow up with you regarding questions, comments, tax strategies as we prepare you tax return. 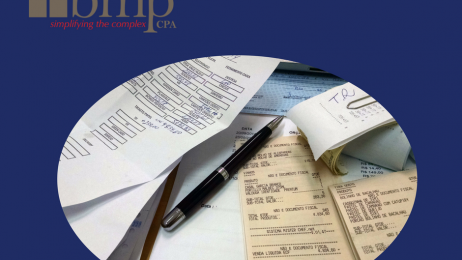 For more information or direct one on one steps to access the portal please email Julia@bmp-cpa.com and Julia will be more than happy to assist. 5 Reasons to Hire a Professional Accountant Before You do your 2018 Taxes for your Small Business! With over 400 pages of tax reform that passed just before Christmas – 2018 should be the year when you decide to hire a professional for your small business tax preparation. 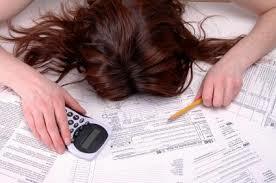 Here are my top 5 reasons not to struggle thru income taxes on your own this year! Help during confusing tax times! Tax forms are complicated every year, but what could be more confusing than a tax package that passes just days before the end of the year? Having a professional accountant can make sure that you have addressed all the changes, you are filing the correct paperwork and give you advice on tax-related issues and decisions. Accountants do more than crunch numbers! Bookkeeping records are essential but who takes time to do bookkeeping tasks consistently 52 weeks a year? A professional can keep you on track with estimated taxes, payments, and financial development! A professional can advise you on what records to keep, how to organize your accounts, and avoid the risk of audits. An accountant’s job is to make sure all of your records are error-free and that the numbers add up the way they’re supposed to so you don’t land in hot water with Uncle Sam. Professional Accountants can mentor on financial decisions. They didn’t get to be professionals without completing an education, and taking licensure exams. Professional accountants can offer strategic planning tips to assist you as well as guiding you on decisions to make that are in line with your personal goals. If you are a new business owner – and accountant will show you how to set up a structure to ensure your financial stability! Networking. Professional accountants know a lot of people. While you may not have thought about meeting potential new clients or partners because you use a professional accountant, they may be able to suggest other professionals you may want to partner with, or someone who could be a valuable asset to your business. Your accountant may also have other clients who need the services that you provide! Hiring a professional accountant ensures that you will be able to focus on what you do best – run your business! You will not need to struggle with bookkeeping and trying to operate software you don’t excel in – your accountant will do that. If you are considering hiring an accountant, or you just want to know what your options are for your small business, we are offering a FREE tax planning consultation to a limited number of small businesses! Just fill out this form, and request your consultation today! This consultation is normally valued at $270!